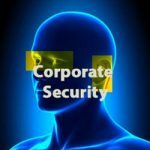 The Corporate Security Management Program (CSM) is a 28-day residency and trains Corporate Security Professionals and Executive Security Officers to manage risks in a corporate setting. The Program will cover Best Practices in a wide range of issues confronting corporate security personnel: Monitoring, Tracking and Responding to Global Crisis whether human or natural. 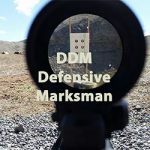 The 28-Day CSM Program is divided into four blocks of instruction: Intelligence-Driven Corporate Security & Protective Services, EP Program Manager / Team Leader, Deception Detection and Intelligence Gathering, and Basic Technical Surveillance Counter Measures (TSCM). Filippo Marino is the Founder and Managing Partner of Tegumen, a risk mitigation advisory firm focused on intelligence-driven brand, operations, and personnel protection strategies. Over the course of his career, Filippo has developed, led or optimized security, intelligence and risk management operations as both an adviser and functional leader. In his most recent corporate role, he established and managed McDonald’s Global Risk Intelligence & Executive Protection programs. 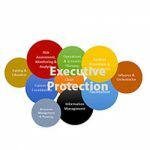 The objective of the course to introduce students to the fundamentals of Executive Protection programs management, and qualify them for a functional leadership role in a corporate context. 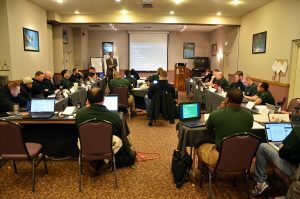 Class participants will be introduced to planning, design, and management principles – both strategic and tactical – associated with leading successful Executive Protection programs and details in a small, medium or large corporate environment. The program will emphasize 3rd-generation EP principles of adaptive and intelligence-based operations, guiding students through realistic scenarios and applications of the PROTECT decision-support framework for planning and executing complex protective details. 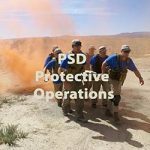 Be it the protectees and their entourage, or your team members and contractors, no EP program or operation can succeed without effective stakeholders engagement. We will explore who they are, how they could derail your efforts, and how to turn them into assets. 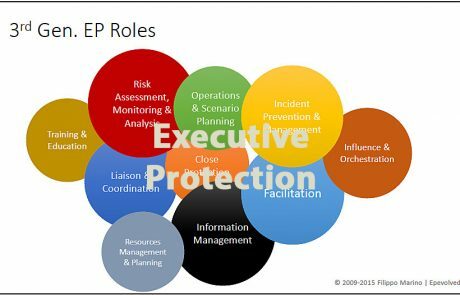 Any effective risk mitigation function (such as EP) rests on deep and accurate understanding of the risks, threat, and vulnerabilities affecting not only the protectee, but any aspect of a protective security program. We will review fundamental definitions of risk, how it is measured, and exercise proven assessment models befitting EP operations. 3rd-generation EP programs are known for being intelligence and circumstance-driven. Protection professionals require stronger than ever ICT competencies to manage the growing data deluge and effectively operate across back-office and mobile platforms, applications, and tools. There are few, if any, aspects of an EP program that could and should not be measured. In most enterprise contexts, the ROI, value proposition, and performance metrics are directly tied to the function’s effectiveness and longevity. We will explore how to embed metrics in standard operating procedures, and how to best leverage and present the information to increase your program’s credibility and success. 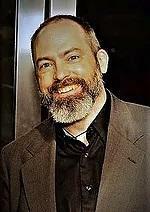 Mr. Nelson is a privacy, protection, and preparedness advocate, with over twenty-five years of security industry experience building value-added security strategies for businesses, organizations, communities and individuals. 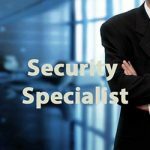 His expertise draws on a deep and diverse background which includes professional and volunteer experiences in the public and private safety sectors, as well as years of corporate security work with various Fortune 500 companies. This course will introduce the student to the basics of crisis planning and management across corporate America, and provide insight into the practical steps involved in managing and responding to natural or man-made disasters. Students will be exposed to the steps involved in planning for disasters, the key roles to be filled during a disaster, and how information is passed and acted on as a crisis unfolds. They will learn the major responsibilities and priorities of a disaster plan, and how they affect and impact executive protection duties. The course will cover the strategies and tactics of navigating at all levels of crisis management, from decision making and communications to pre-planning and resource allocation. It will provide the student with the practical knowledge to respond to a crisis appropriately, while maintaining the integrity of their protective operations. Through the use of real-world examples and case-studies, students will be exposed to the challenges and lessons learned from previous crises. Using table-top scenarios and team focused assignments, students will understand the steps needed to properly and successfully plan for and manage a variety of disaster situations, whether natural or man-made. Information Security is a critical aspect of corporate operations, whether it is Voice, Data or a mixture of both. 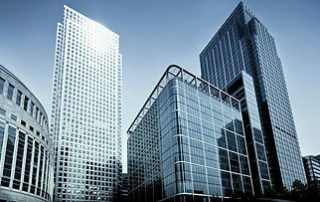 Every corporate security professional needs to have a working understanding of the problem and how to develop solutions. The First priority is to understand the problem… we then need to keep the information safe and secure. 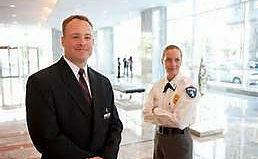 Corporate security agents use these skills at corporate headquarters, and as a part of the Executive Protection Protocols for teams in the field. This course will concentrate on teaching students how to conduct information Risk Assessments, as well as conduct basic Information Countermeasures. Basic TSCM skills will be taught using equipment staff can carry on assignments. Students will learn basic computer security countermeasures with software and available PCs. The course will cover basic covert surveillanc techniques to give the student a working knowledge of issues they will be facing during the course. The legal aspects to both spying and countermeasures will be discussed to help insure that the students understand their responsibilities and the legal pitfalls of counter espionage casework. The course will cover the development of an espionage case from the point of view of the attacker and the methods used in developing their plan for acquiring the information they need. Each team in the course will be given an assignment of collecting information that is required from the victim for a successful attack. 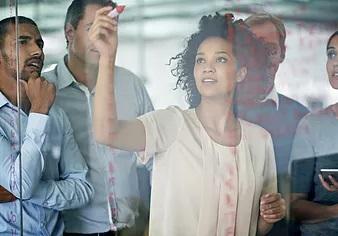 They will learn to utilize the extraction techniques in the most efficient ways to obtain the necessary information. The instructors will teach the various technical means of gathering the information to include case studies of corporate espionage attempts and successes. Students will learn which equipment is the most applicable for the given assignment. Students will learn how to select instruments for a Go-Bag of espionage equipment and how the instruments are used to conduct a basic counter espionage sweep of executive suites and meeting sites. The same scenarios will be used to show the students both the capabilities and limitations of counter espionage equipment. Students will learn how Hackers acquire information from unsecure computers and the best practices to secure personal and business computers. 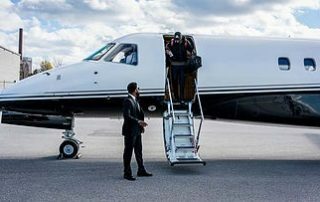 Students will learn cyber security methods while on the road with traveling executives and how best to defend their own systems in the process. 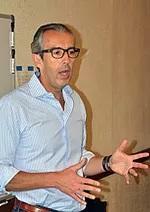 Students will learn all of the above in practical exercises with team and individual applications. 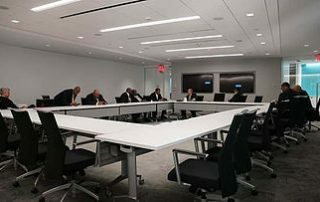 They will graduate from this course with a basic understanding of how to conduct technical surveillance sweeps of physical spaces as well as computer equipment and the legal implications in a corporate environment. Cyber Security has become a buzz word in the media for the last 5+ years that has caused a significant amount of interest in either understanding what Cyber is or to educate themselves to prepare for Cyber-Related Incidents. Complementing the TSCM course by former Secret Service, Rich Roth, this course will start with the student’s perception of the threat landscape. This primer course immerses students in the arena of cyber threats and provides close protection agents with some essential tools to protect their clients without the necessity of years of experience. Identify Indicators of Compromise to Public, Private and Security Related organizations. Upon completion of any of the three Core Programs, the student is awarded a Certificate of Completion. 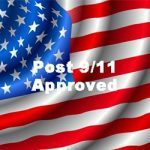 An ESI Credential is awarded for Certified Protection Specialist ™C.P.S, Certified Security Management Specialist, Certified Protective Operations Specialists and the highest award is granted for a Certified Security Specialist upon achieving the ESI Standard Grade Point Average of 80% or above. 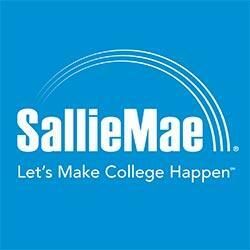 ESI is approved by Sallie Mae, a federally approved student tuition loan company. 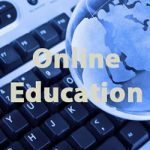 The cost of administration and initial registration is separate from the cost of the individual courses, which are itemized.